Live concerts by most popular local bands and performers dot the program on all three days of the festival. Naha Festival is the largest in the prefecture, and consists actually of three specific events from Saturday through Monday. Monday is a Japanese National Holiday known as the Sports Day. 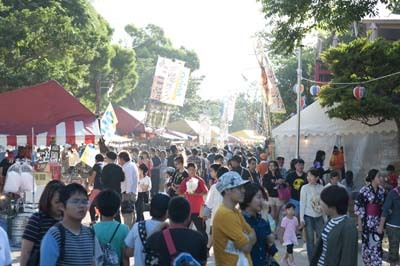 Onoyama Park is filled with vendor booths from Saturday through Monday. 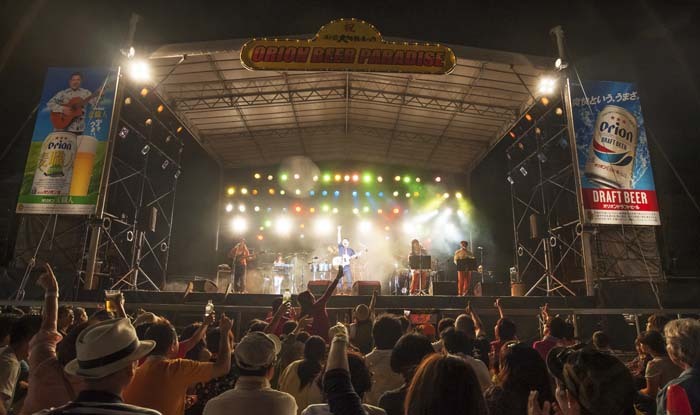 The festival at Onoyama Park on three days from Saturday through Monday features live concerts, karaoke contest, comedy shows and live TV broadcast on RBC (Ch. 10), and Orion Beer Paradise. The programs are performed on two stages from early afternoon to 20:00 when each day ends with fireworks. On Saturday, Kokusai Street and the open square in front of Palette Kumoji Building are the scene of a citizens’ parade and accompanying performances starting at 14:00 and continuing until 18:30. 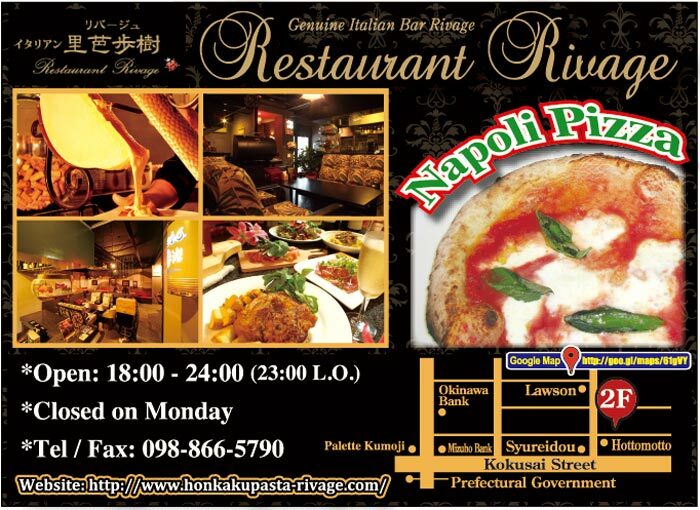 The vehicle traffic on Kokusai Street is stopped from 13:45 to 18:30. 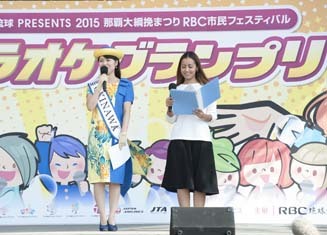 One of the festival highlights is the RBC karaoke contest. The parade features various kinds of traditional, modern and ethnic dance groups, taiko drums, plus Eisa and Shishimai (Lion Dance) performances. A Hatagashira Parade, a procession of teams of young men showing their skills in handling tall bamboo poles decorated with flags and large ornaments on top, takes place on Kokusai Street from 11:30 to 14:00 before the Naha Great Tug-of-War on Highway 58 at Kumoji that is the third main event of the Naha Festival.